Allegra Boverman/Gloucester Daily Times. 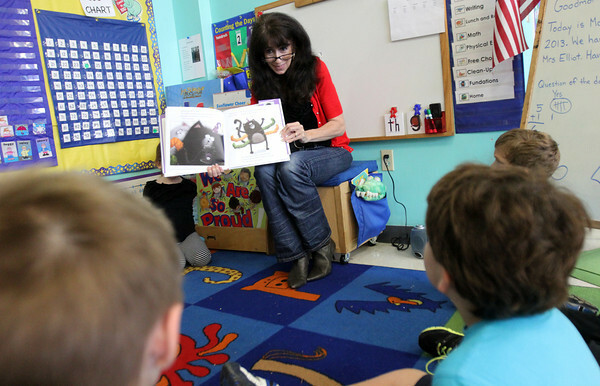 Gloucester Daily Times features writer Gail McCarthy participates in the First R Reading program on Monday at West Parish Elementary School. She read "Scaredy-Cat, Splat!" by Rob Scotton to several kindergarten classes as part of the program, which includes the Gloucester and Rockport school districts. Each class received a copy of the book following her reading.